Resource center Rehab for Opiate Abuse What are the Signs of an Opiate Addiction? Opioids are drugs that all have their origins from the opium in the Asian poppy plant. Opioid drugs are also often referred to as narcotics or opiates. The original designation was that the narcotic drug was any medication that had the quality of producing sleepiness; opiates were designated as drugs that were developed from opium; and opioids were the drugs that attached to the endogenous opiate receptors in the central nervous system (the brain and spinal cord). However, these older designations no longer apply, and the terms are used interchangeably to describe a wide array of drugs that are either developed from substances in the Asian poppy plant or synthetic substances that chemically resemble those substances. All opioid drugs are controlled substances classified by the United States Drug Enforcement Administration (DEA). Some of them are illegal to possess by any private individual (e.g., heroin, classified as a Schedule I substance), and others require a prescription from a physician (classified in other categories according to the DEA). The primary use of the opioid drugs is for the control of acute or chronic pain, but some of these drugs have other uses. Abuse of prescription opioid drugs has recently received quite a bit of attention in the media, and this opioid epidemic represents a significant problem in the United States. 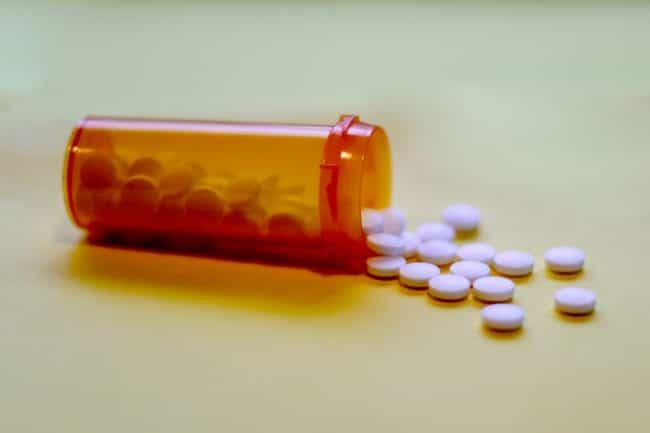 However, the majority of individuals who get a prescription for these drugs and use them under the supervision of a physician do not go on to become chronic opiate drug abusers based on data from the Substance Abuse and Mental Health Services Administration (SAMHSA) and other sources. That being said, a good proportion of individuals who develop opiate use disorders began their abuse by getting a prescription for these drugs. Misuse of a drug refers to use of a drug that is inconsistent with its medical purposes, but this use is not ongoing or chronic. For instance, someone with a prescription to Vicodin may take more than the prescribed amount if they are in significant pain, or they may take it more often than the prescription instructs them to. If this is not a continual behavior, it simply is defined as misuse of a drug. The current clinical designation associated with chronic abuse of a drug that results in a diagnosable form of a mental health disorder is a substance use disorder. A substance use disorder that occurs as a result of abusing opiate drugs would be labeled as an opiate use disorder. Older terms such as abuse, drug dependence, and even addiction are no longer utilized by mental health professionals to diagnose individuals. The terms addiction and abuse are still commonly used in research, academics, and personal communications between mental health workers, but they are no longer considered to be diagnostic terms. The older designation of substance abuse and substance dependence is now combined in the newest diagnostic scheme. Previously, substance abuse was viewed as a milder form of substance dependence (addiction); however, in the current diagnostic scheme, the severity of the individual’s substance use disorder is dependent on the number of symptoms they display. Physical dependence on a drug refers to the development of a withdrawal syndrome when the drug is discontinued or when the person begins to take a significantly lower amount of the drug that they had previously used (withdrawal symptoms are always followed by the development of tolerance to the drug, so many descriptions of physical dependence often includes both the notions of tolerance and withdrawal). Physical dependence to a drug may or may not be symptomatic of a substance use disorder. Whether or not physical dependence (both the syndromes of tolerance and withdrawal) are judged as symptomatic of an individual’s substance use disorder depends on the context in which physical dependence occurs. The formal diagnosis of any substance use disorder can only be made by a licensed mental health clinician. The diagnosis cannot be made by the use of laboratory tests (e.g., blood or urine tests), neuroimaging results, or other medical tests. Instead, the diagnosis is made on the basis of observations of the person’s behavior, their use of the particular opiate drug in question, and how the person uses the drug as well as the ramifications of their drug use. Nonmedical usage: The person engages in frequent nonmedical use (misuse) of the drug. Impairment or distress: The person’s use of the drug results in significant impairment in functioning and significant distress for them. Cravings: The person experiences cravings or significant urges to use their drug of choice. Time investment: The person begins to spend significant amounts of time either using their drug of choice, trying to get the drug, or recovering from the effects of drug use. Giving up important activities: The person begins to ignore personal commitments and no longer engages in activities they once found pleasurable in favor of drug use. Tolerance: The person develops a tolerance to opioids. This can include needing more of the drug to get the effect they once got at a lower amount or a diminished effect from the amount they normally take. Withdrawal: This involves the expression of a withdrawal syndrome when the drug is discontinued or the amount of the drug the person normally takes is significantly decreased. An individual would qualify for a diagnosis of an opiate use disorder if they display two or more of the 11 diagnostic criteria within a year’s time. The development of tolerance and withdrawal in individuals who use them under the supervision of their physician and according to the physician’s instructions would most likely not qualify as symptoms of an opiate use disorder. This is because the individuals are using the drug for medicinal reasons and therefore should not be experiencing the issues that occur with individuals who are diagnosed with substance use disorders. There are some indicators that a substance use disorder is present in an individual with a prescription for a drug. While specific medical tests like urinalysis are not part of the formal diagnostic criteria for an opiate use disorder, these tests could be used to assist in the diagnosis and to determine the severity of an individual’s substance use disorder. The formal diagnostic criteria for an opiate use disorder do not include some other useful indicators. Some of these other indicators are outlined below. A person with a prescription may use the drug in manners not consistent with its prescribed purposes, and this can signify abuse. Although the data indicates that the majority of individuals who are prescribed opioid medications do not abuse them, a significant number of people do go on to abuse them. There are some specific signs that occur in individuals with prescriptions that may signal opiate abuse. The person frequently uses up the prescription before its allotted time. The person attempts to get numerous prescriptions for the opiate drug from different physicians. The person uses their opiate drug in conjunction with other drugs of abuse, such as alcohol, stimulants, and cannabis, when these are not prescribed to them. Significant tolerance to the drug develops, such that the person needs far more than the doctor is willing to prescribe to them. 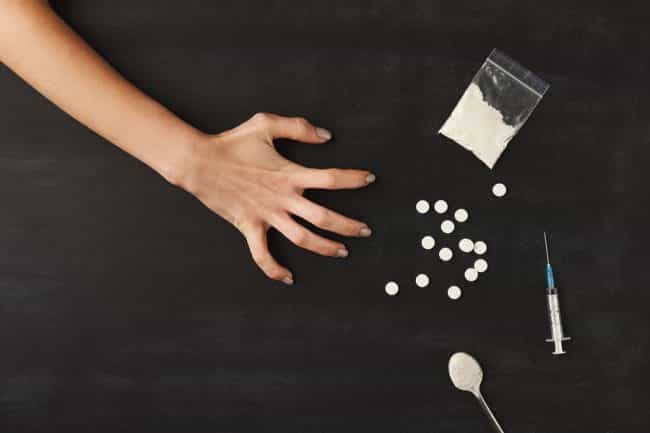 The person takes their opiate drug in a manner that is not consistent with its prescribed use, such as crushing the pills, snorting them, or mixing the crushed pills with water and injecting the solution. The person frequently experiences significant withdrawal symptoms when they don’t take the drug. Several of the above signs may also apply to individuals who do not have a prescription for opiates, such as withdrawal symptoms, attempting to get opiate drugs from numerous sources, and crushing pills. Legal and financial issues related to drug use may be other signs that the person is struggling with opiate addiction. If you suspect a loved one is addicted to opiates, it’s important to get them the help they need. Opiate addiction does not remit on its own; professional help is needed.